Joey, a TV journalist, investigates strange events at a New York City nightclub called the Boiler Room. It’s run by JP Monroe, a skeezy hedonist, who likes to decorate his club with horror art. His latest acquisition is a stone sculpture that, as it turns out, contains Pinhead and the puzzle box. JP starts making blood sacrifices to the sculpture, in exchange for Pinhead’s promise to remake to world at his right hand. JP ultimately fumbles it, and Pinhead tempts the would-be victim into releasing him. Meanwhile, Joey has been dreaming of the father she lost in the Vietnam war, which links her into the limbo inhabited by the spirit of Captain Elliot Spencer, now separated from Pinhead. Traumatized in the trenches of the Great War, Spencer acquired the puzzle box and opened it, becoming the Cenobite known as Pinhead. “There is a monster out there, Joey, and it’s me. The war destroyed my generation. Those that didn’t die drank themselves to death. I went further. I was an explorer of forbidden pleasures. Opening the box was my final act of exploration, of discovery. I found the monster within the box. It found the monster within me.” This continues the themes of women with father issues being torn between good and bad fathers. For that, he needs the box, now held by Joey. 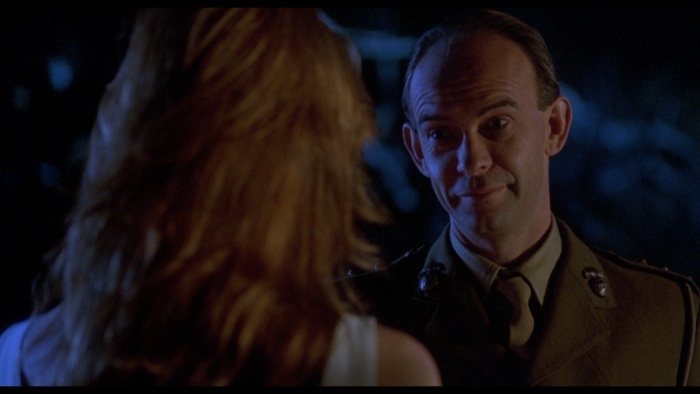 He slaughters the people in Monroe’s nightclub, transforms some of them into Cenobites, and sends them to chase down Joey and the box. This is the weakest and silliest part of the film. The original Cenobites were frightening precisely because they were mysterious. We didn’t know why they looked like that, just that they were scary. The new crop are designed around pretty obvious gimmicks: Doc has a camera coming out of his head, the DJ shoots CDs like shuriken, and the bartender throws fireballs from a cocktail shaker. Furthermore, it’s previously implied that the Cenobites want only certain types of people to join them. They wouldn’t just grab people at random and transform them. 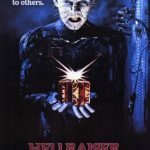 The climax is in the spirit world, in which Pinhead tricks Joey into giving him the box, and is about to Cenobite-ize her when Spencer intervenes. 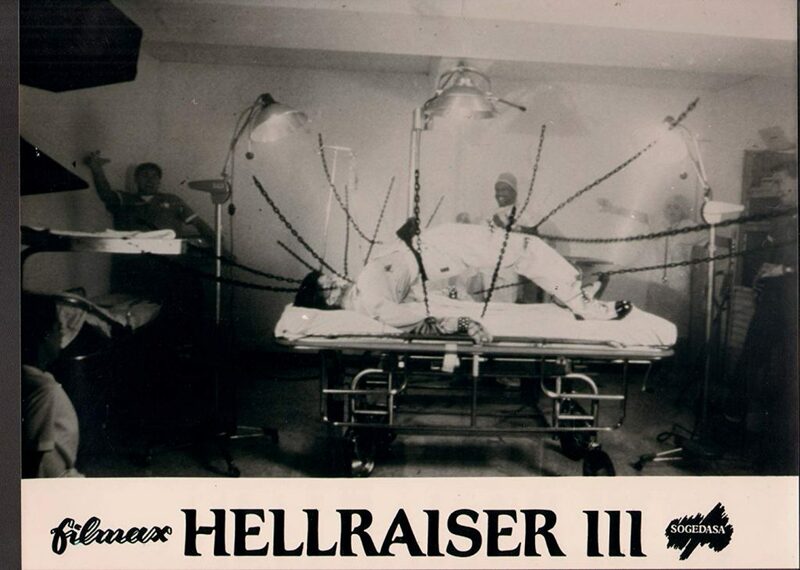 They fuse, but Joey escapes, uses the box to return Pinhead to hell, then buries the box under wet cement in a construction site. There are germs of interesting ideas here, but they are buried under excess and gore. Instead of the claustrophobic menace of the Cotton house or the Channard Institute, it’s all about quantity, not quality. There’s a strong sense of someone wanting to push Pinhead into being not only the franchise’s primary villain and icon, but a chaotic force of destruction, more like 80s horror slashers Michael Meyers, Jason Voorhees or Freddy Krueger. 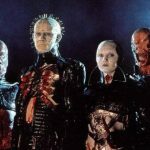 The idea that Pinhead is an intelligent and focused antagonist, operating according to his own set of rules, gets swept aside in favor of mass destruction. 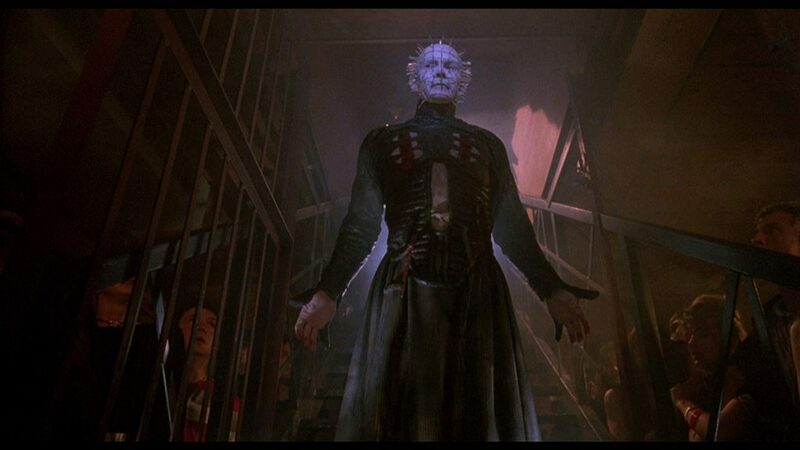 Pinhead’s design still incorporates the symbols of sadomasochism, but he is only a megalomaniacal, nonconsensual sadist in this film. 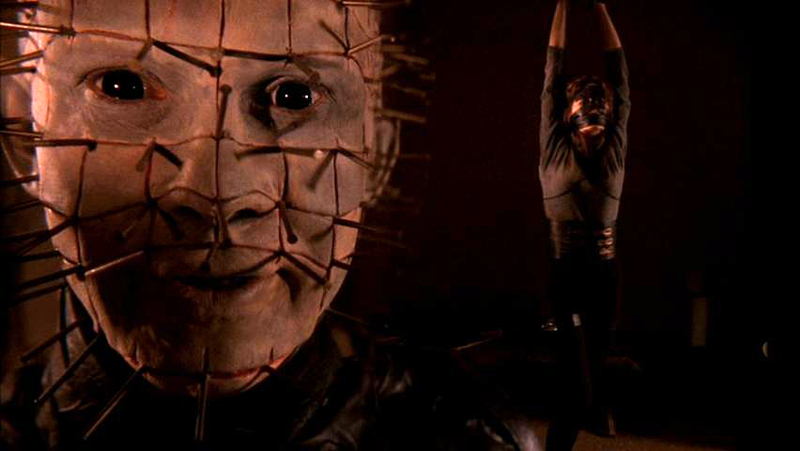 Instead of “pain and pleasure, indivisible”, Pinhead is bent only on spreading suffering now.